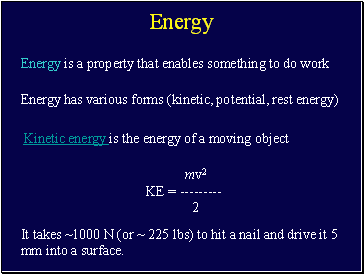 It takes ~1000 N (or ~ 225 lbs) to hit a nail and drive it 5 mm into a surface. 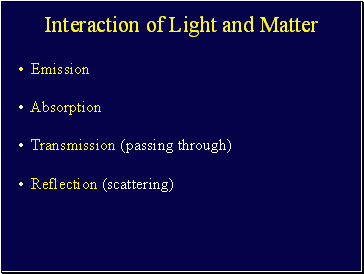 Mass and Energy are related to each other and can be converted into each other. 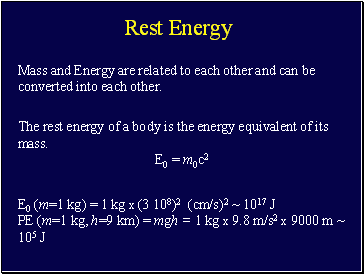 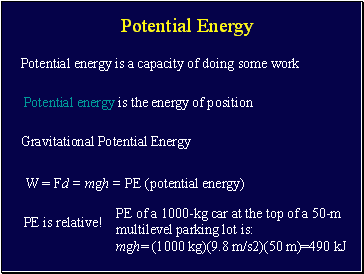 The rest energy of a body is the energy equivalent of its mass. 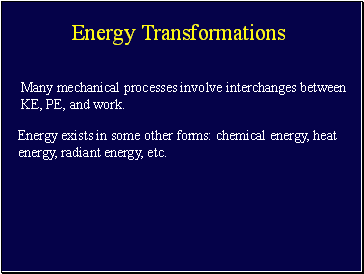 Many mechanical processes involve interchanges between KE, PE, and work. 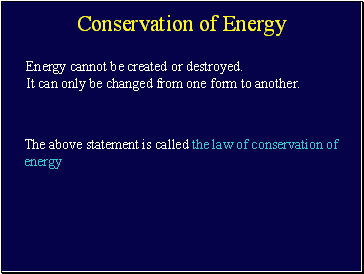 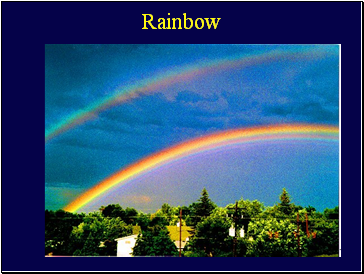 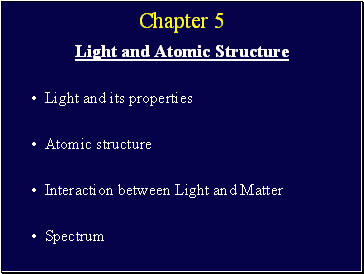 Energy exists in some other forms: chemical energy, heat energy, radiant energy, etc. 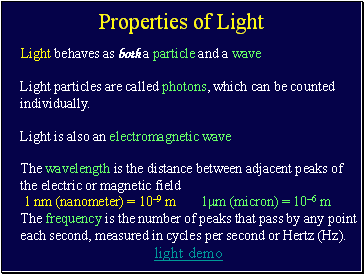 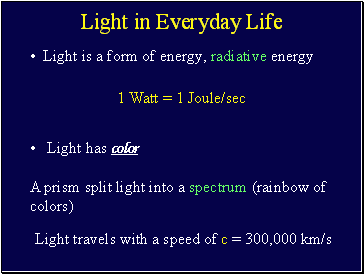 Light particles are called photons, which can be counted individually.